The year 1820 in architecture involved some significant events. Approximate date – Gatcombe Park, Gloucestershire, England, is remodelled by George Basevi (a relative of the owner at this time, economist David Ricardo). Charlotte Square, completing the construction of New Town, Edinburgh, Scotland; laid out to the design of Robert Adam (died 1792). Bakers Island Light, Salem, Massachusetts, USA. Citadelle Laferrière in Haiti, the largest fortification in the Americas. Clock tower of Cathedral of St. Mary the Crowned, Gibraltar. Eastnor Castle, Herefordshire, England, by Robert Smirke. Inveraray Jail and Courthouse, Scotland, by James Gillespie Graham. Pont de la Tosca, Andorra. 'Stack A' bonded warehouse, Custom House Docks, Dublin, Ireland, by John Rennie the Elder. 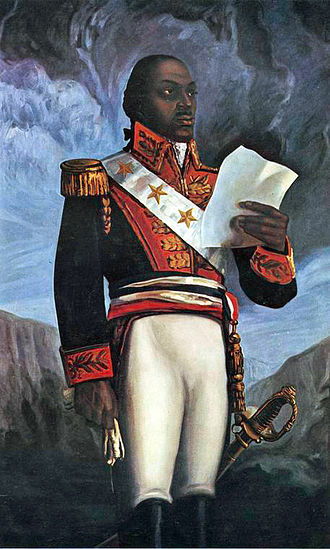 The Americas, collectively called America, encompass the totality of the continents of North America and South America. Together they make up most of the land in Earths western hemisphere, along with their associated islands, they cover 8% of Earths total surface area and 28. 4% of its land area. The topography is dominated by the American Cordillera, a chain of mountains that runs the length of the west coast. The flatter eastern side of the Americas is dominated by river basins, such as the Amazon, St. Lawrence River / Great Lakes basin, Mississippi. Humans first settled the Americas from Asia between 42,000 and 17,000 years ago, a second migration of Na-Dene speakers followed from Asia. The subsequent migration of the Inuit into the neoarctic around 3500 BCE completed what is regarded as the settlement by the indigenous peoples of the Americas. The first known European settlement in the Americas was by the Norse explorer Leif Ericson, the colonization never became permanent and was abandoned. 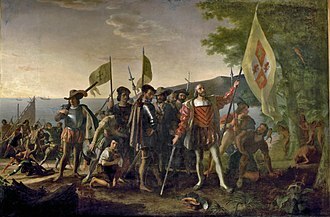 The voyages of Christopher Columbus from 1492 to 1502 resulted in permanent contact with European powers, diseases introduced from Europe and Africa devastated the indigenous peoples, and the European powers colonized the Americas. Mass emigration from Europe, including numbers of indentured servants. 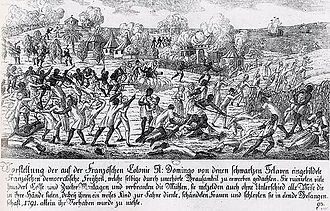 Decolonization of the Americas began with the American Revolution in 1776, the population is over 1 billion, with over 65% of them living in one of the three most populous countries. As of the beginning of the 2010s, the most populous urban agglomerations are Mexico City, New York, Sao Paulo, Los Angeles, Buenos Aires and Rio de Janeiro, all of them megacities. The name America was first recorded in 1507 in the Cosmographiae Introductio, apparently written by Matthias Ringmann and it first applied to both North and South America by Gerardus Mercator in 1538. Amerigen means land of Amerigo and derives from Amerigo and gen, America accorded with the feminine names of Asia and Europa. When conceived as a continent, the form is generally the continent of America in the singular. Inveraray Jail, in Inveraray and Bute, Scotland, is a 19th-century prison and courthouse. In use as a prison from 1820 to 1889, the building is now a living museum and it is a category A listed building. Designed by James Gillespie Graham in 1813 after original plans by Robert Reid in 1807, the original plans had called for a courthouse and three prisons, one for males, one for females and one for debtors. The ground obtained was sufficient for such a plan, but the finance was not. Both the courthouse and prisons opened in 1820, the courtroom, on the first floor, has a semicircle of large windows giving a magnificent view overlooking the prison yard and, across Loch Fyne. The two-storied prison has three-foot-thick walls of rough hewn red stone. A third of the floor was occupied by a day-room which was lit, like the cells, by narrow. The Prisons Act 1839 brought about changes, including the separation of prisoners. 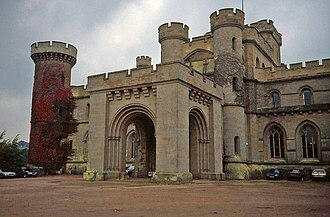 A second prison was built on the spare ground, opening in the closing days of 1848. Designed by Thomas Brown of Edinburgh, the new prison consisted of cells on three floors with an exercising gallery at the top. 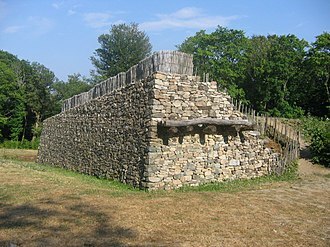 A pair of outdoor exercise yards were built, separated from each other by a wall. Prisoners were not allowed to fraternize, the separate system was designed to give them time to reflect upon their sins. The Prisons Act 1877 heralded another major change in the administration of prisons, local authorities would no longer have the responsibility of running and financing prisons, the Government was taking control. Large prisons were built in the center of population, barlinnie in Glasgow opened in 1882 and small local prisons in the West of Scotland began to close. On 20 July 1889 readers of the Argyllshire Herald were informed that the prison of Inveraray will be closed on 31st August, despite changes to the prison system, the court was still sitting, continuing until 1954, with a little activity since then. On several occasions the premises have come near to being abandoned, in the 1980s extensive restoration was undertaken by the Scottish Office, but all plans fell through and the building lay empty. John Rennie FRSE FRS was a Scottish civil engineer who designed many bridges and docks. His older brother George remained to assist in the agricultural business. He seems to have employed his vacations in working as a millwright, at this early date the originality of his mind was exhibited by the introduction of cast iron pinions instead of wooden trundles. In 1784 he took a journey south for the purpose of enlarging his knowledge, visiting James Watt at Soho, the machinery was all designed by Rennie, a distinguishing feature being the use of iron instead of wood for the shafting and framing. About 1791 he started in business as an engineer on his own account in Holland Street, whence he. In 1791, he moved to London and set up his own engineering business, having by begun to expand into civil engineering, the Kennet and Avon Canal including the Dundas Aqueduct, Caen Hill Locks and Crofton Pumping Station occupied him between 1794 and 1810. In 1802 he revised the plans for the Royal Canal of Ireland from Dublin to the Shannon near Longford, for many years he was engaged in extensive drainage operations in the Lincolnshire and Norfolk fens, and in the improvement of the River Witham. The Eau Brink Cut, a new channel for the River Ouse, was completed just before his death and his efforts in this line show that he was a skilful architect, endowed with a keen sense of beauty of design. Waterloo Bridge was considered his masterpiece and was the most prestigious bridge project in England, the Italian sculptor Canova called it ‘the noblest bridge in the world’ and said that ‘it is worth going to England solely to see Rennie’s bridge. Southwark Bridge was built as three cast-iron spans over the river and he designed the Old Vauxhall Bridge. He devoted much time to the preparation of plans for a government dockyard at Northfleet, Rennies last project was London Bridge, still under construction when he died in 1821 but completed by his son, John Rennie. Dunleary harbour of Asylum was a difficult and important project. Rennie was responsible for the construction of Howth Harbour on the North side of Dublin bay a decade earlier and this was originally planned as the landing for the Holyhead packets, but it silted up to such an extent that it became unfit for purpose. Elias George Basevi FRS was an English architect who worked in both Neoclassical and Gothic Revival styles. A pupil of Sir John Soane, his designs included Belgrave Square in London, and he was surveyor to the Guardian Assurance Company, to the Trustees of Smiths Charity and to the Thurloe estate. He was the youngest son of a City of London merchant, the family were of Sephardic Jewish origin, and Basevis father remained a member of the congregation of the Bevis Marks Synagogue until 1817. Basevi was educated at the Reverend Dr Burneys school at Greenwich, in 1821 he became the first surveyor of the Guardian Assurance Company, a post he held until his death. His work for the company involved personally inspecting and reporting on buildings where there was a great risk and he remodelled their premises in Lombard Street. In 1822 he designed the church of St Thomas at Stockport, both were for the Commissioners of the Church Building Act, and both were in the neo-classical style. Basevi was unhappy with the modifications to the designs of the steeples imposed by the Commissioners, St Marys was demolished in 1936 after 17 years of closure. He designed Belgrave Square for the developers William and George Haldimand, success there led to his appointment as Surveyor to the Trustees of Smiths Charity at Brompton, and to the adjoining Thurloe estate. He designed the houses in Thurloe Square, off the Brompton Road, in 1835 he won the competition to design a museum for Cambridge University, funded by a bequest from Viscount Fitzwilliam, with an imposing design in the Corinthian style. Work on the Fitzwilliam Museum was continued after Basevis death by C. R. Cockerell, Basevi built two Gothic churches in Chelsea, St Jude and St Saviour, and another, Holy Trinity at Twickenham Green. In 1834-6, he rebuilt the church of St Andrew, Hove. The church at Eye in Northamptonshire was rebuilt to Basevis designs, it was opened in 1847 and he used the Gothic style at almshouses in Stamford and Ely, and at Coulsdon rectory, Surrey. In 1834 he made alterations and additions to the Middlesex Hospital and built a new medical school. In 1834 he designed Beechwood House in Hampstead for his brother, Basevi became a Fellow of the Royal Society in 1843. The year 1827 in architecture involved some significant architectural events and new buildings. Work begins on the Athenaeum Club, designed by Decimus Burton, karlsruhe Mint, designed by Friedrich Weinbrenner. Sing-Akademie zu Berlin, designed by Carl Theodor Ottmer, old Council House, designed by Robert Smirke. Union Club and Royal College of Physicians, Trafalgar Square, fireproof Building, South Carolina, designed by Robert Mills. Mills Building, South Carolina Lunatic Asylum, designed by Robert Mills, naval Medical Center Portsmouth, designed by John Haviland. Hospital Real de Inválidos Militares de Runa, London Colosseum, designed by Decimus Burton for Thomas Hornor. Tremont Theatre, designed by Isaiah Rogers, lapua Cathedral, designed by Carl Ludvig Engel. Holy Trinity Church, designed by Carl Ludvig Engel, christ Church Cathedral, designed by Ithiel Town. Church of St Mary, designed by John Nash, passage Choiseul, designed by Francois Mazois and completed by Antoine Tavernier. Halkyn Castle, designed by John Buckler, hart-Cluett Mansion, New York, probably by Martin Euclid Thomson. The year 1815 in architecture involved some significant events. St. Patricks Old Cathedral in New York City, designed by Joseph-François Mangin, is dedicated, Church of St. Pauls Radcliffeboro is completed. St. Johns Church, designed by William Strickland, is built, St Michaels Church, England, designed by ironfounder John Cragg with Thomas Rickman, is consecrated. Kuopio Cathedral in Finland is completed, the Royal Pavilion is redesigned to become a royal residence located in Brighton, England. Armadale Castle on Skye is built in the style of Scottish Baronial architecture to the design of James Gillespie Graham, the Nelson Monument, Edinburgh, on Calton Hill, designed by Robert Burn, is dedicated. Dunans and Ferness Bridges in Scotland, designed by Thomas Telford, are completed, waterloo Bridge, Betws-y-Coed, designed by Thomas Telford, is constructed. Glenfinnan Monument in Scotland, designed by James Gillespie Graham, is erected, carneal House is built at 405 East Second Street in Covington, Kentucky. Benjamin Henry Boneval Latrobe was a British subject and neoclassical architect. It is the first Roman Catholic Cathedral constructed in the United States, Latrobe designed the largest structure in America at the time, the Merchants Exchange in Baltimore. Latrobe emigrated to the U. S. in 1796, initially settling in Virginia where he worked on the Virginia State Penitentiary in Richmond, Latrobe moved to Philadelphia where he established his practice. Latrobe spent the years of his life in New Orleans, Louisiana working on a waterworks project. Latrobe has been called the Father of American Architecture and he was the uncle of Charles La Trobe, who was the first Lieutenant-Governor of Victoria in Australia. Latrobe was born on May 1,1764, at the Fulneck Moravian Settlement, near Pudsey in the city of Leeds, in the West Riding of Yorkshire, England. His parents were the Reverend Benjamin Latrobe, a leader of the Moravian Church who was of Huguenot ancestry, Antes was born in the American colony of Pennsylvania, but was sent to England by her father, a wealthy landowner, to attend a Moravian school at Fulneck. Latrobes father, who was responsible for all Moravian schools and establishments in Britain, had a circle of friends in the higher ranks of society. He stressed the importance of education and the value of exchange, while Latrobes mother instilled in her son a curiosity. From a young age, Benjamin Henry Latrobe enjoyed drawing landscapes and he was a brother of Moravian leader and musical composer Christian Ignatius Latrobe. In 1776, at the age of 12, Latrobe was sent away to a Moravian School at Niesky in Upper Lusatia, near the border of the German principalities of Saxony and Prussia, where his brother was studying. 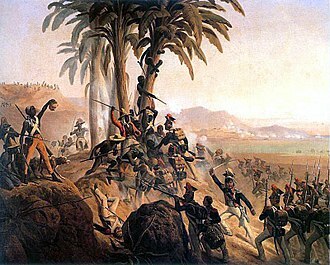 At age 18, he spent several months traveling around Germany, Latrobe may have served briefly in the Austrian Imperial Army, and suffered some injuries or illness. After recovering, he embarked on a continental Grand Tour, visiting eastern Saxony, Paris and other places. 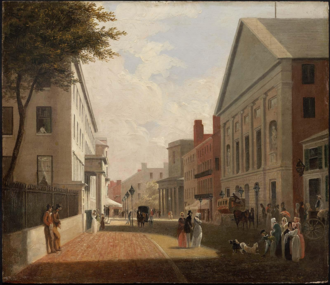 Through his education and travels, Latrobe mastered German, French and modern Greek, and Latin, had advanced ability in Italian and Spanish, Latrobe was elected a member of the American Antiquarian Society in 1815. The New Town is a central area of Edinburgh, the capital of Scotland. It is often considered to be a masterpiece of city planning and and it was built in stages between 1767 and around 1850, and retains much of the original neo-classical and Georgian period architecture. Its most famous street is Princes Street, facing Edinburgh Castle, the Age of Enlightenment had arrived in Edinburgh, and the outdated city fabric did not suit the professional and merchant classes who lived there. A scheme to drain the Loch was put into action, although the process was not fully completed until 1817. 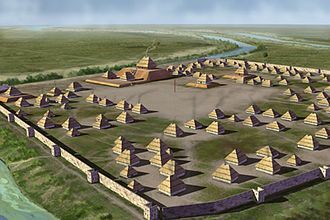 Crossing points were built to access the new land, the North Bridge in 1772, and the Earthen Mound, the Mound, as it is known today, reached its present proportions in the 1830s. As the successive stages of the New Town were developed, the rich moved northwards from cramped tenements in narrow closes into grand Georgian homes on wide roads, the poor remained in the Old Town. A design competition was held in January 1766 to find a modern layout for the new suburb. It was won by 26-year-old James Craig, following the contours of the land, proposed a simple axial grid. Two other main roads were located downhill to the north and south with two streets between. Several mews off the streets provided stable lanes for the large homes. Completing the grid are three cross streets. Craigs original plan has not survived but it has suggested that it is indicated on a map published by John Laurie in 1766. This map shows a layout with a central square reflecting a new era of civic Hanoverian British patriotism by echoing the design of the Union Flag. Both Princes Street and Queen Street are shown as double sided, a simpler revised design reflected the same spirit in the names of its streets and civic spaces. The principal street was named George Street, after the king at the time, Queen Street was to be located to the north, named after his wife, and St. Giles Street to the south, after the citys patron saint. St. Andrews Square and St. Georges Square were the chosen to represent the union of Scotland and England. Edinburgh's New Town, viewed from Edinburgh Castle. Montage image of Robert Adam's north side of Charlotte Square. Bute House, official residence of the First Minister of Scotland, is in the centre. Western façade of the Cathedral of St. Mary the Crowned. Graham's Blythswood House, Glasgow. Home of the Lords Blythswood; it was demolished in 1935. The west front of Crawford Priory as it is today. The main front of the Fitzwilliam Museum.